Create, decorate, display, and eat delicious no-bake Bake Cool mini treats — just add water and refrigerate! 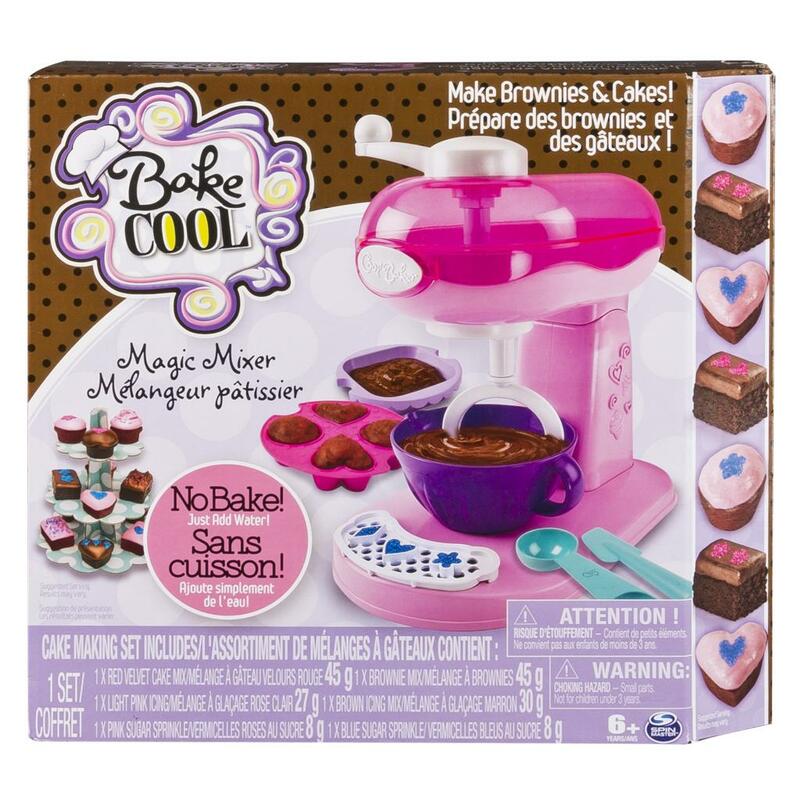 It's fun and easy to use your Bake Cool Magic Mixer Maker to combine either of the provided cake or brownie mixes with water into batter. Spread the batter into the shaped pans and refrigerate for only 15 minutes! Use your Bake Cool Magic Mixer Maker again to create icing to frost your creations, and then personalize using the sprinkles stencil on the Mixer base, or freestyle it with any pattern to suit your baking style. 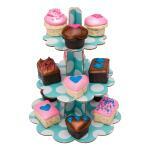 When you're done, proudly display your beautiful and delicious creations on the included three-tier dessert stand! 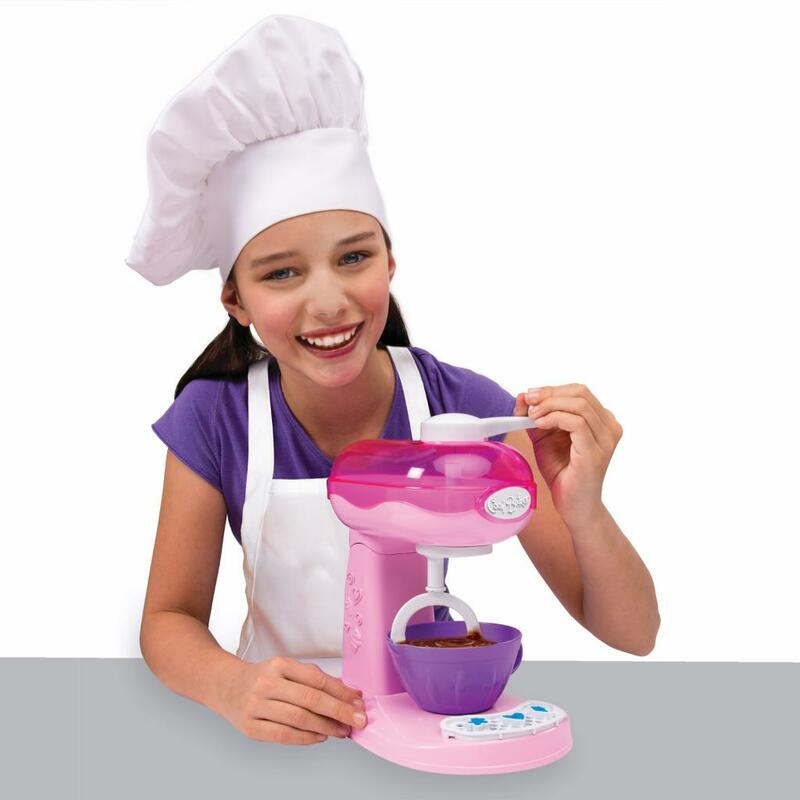 The Bake Cool Magic Mixer Maker comes with everything you need to start cool-baking mini chocolate brownies and mini red velvet cupcakes right away. When you're done, you can buy mix pack refills to make more and more! 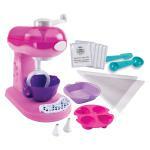 You'll be a Bake Cool Magic Mixer Master in no time! The Bake Cool Magic Mixer uses your refrigerator's cold instead of an oven's heat for safe, easy baking! In just 15 minutes your treats are ready to decorate, display and eat! 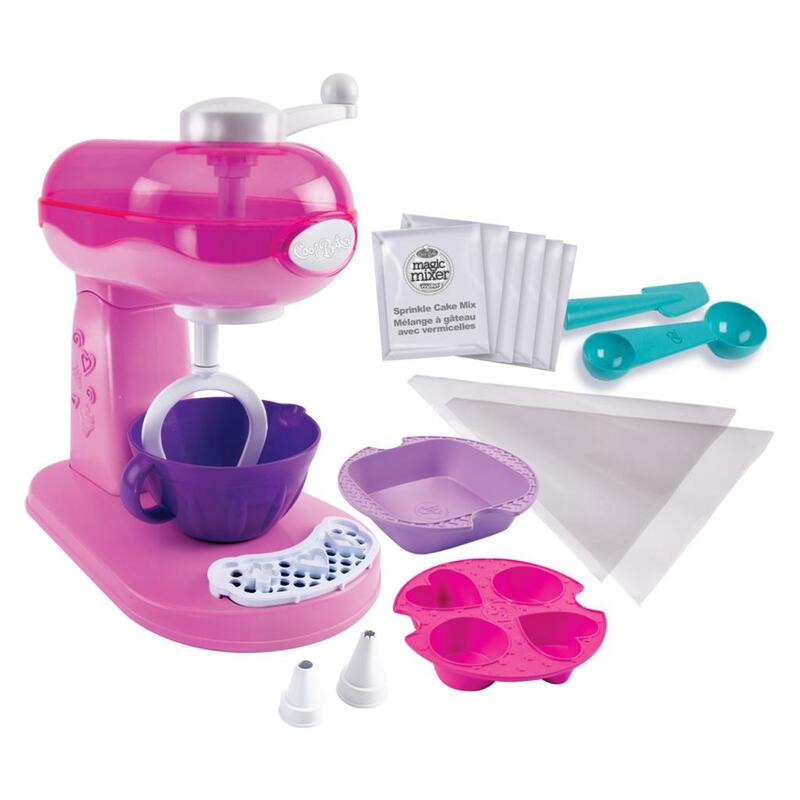 In addition to ingredients, this baker mixer comes with a mixing bowl, mixing and decorating accessories and 3-tier dessert display stand! 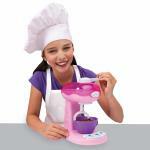 Bake Cool Magic Mixer Maker is for ages 6+. No batteries required.